How Much Does It Cost to Replace an AC Motor in Kansas City? The blower motor, which is located inside in the air handler. The cost to replace an AC blower motor in Kansas City ranges from $275 to $900. The condenser fan motor, which is located in the outdoor unit. The cost to replace an AC condenser fan motor in Kansas City ranges from $250 to $800. 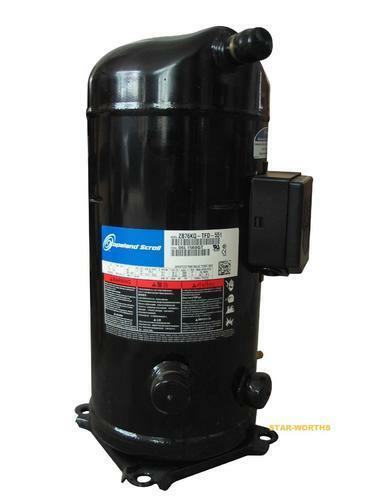 The compressor motor, which is also located in the outdoor unit. If the motor goes out in the compressor, it’s usually necessary to replace the entire compressor. The cost to replace an AC compressor in Kansas City ranges from $1,800 to $2,500. Before we get into the factors that impact your replacement cost, let’s go over what each motor does. Need help right away? Just give us a call, and we’ll quickly send over one of our trusted techs to give you a free motor replacement quote. What do air conditioner motors do? Pulls warm air from inside your home. Pushes that warm air over the evaporator (part that cools the air). Blows the cold air back into your home. The blower pulls in warm air, which is cooled over the evaporator coil, and pushed into your home to cool, conditioned air. Located in your outside unit, the AC condenser fan motor cools down heated refrigerant (the substance that absorbs heat from the air in your home) as it circulates through your system. Refrigerant pulls heat from your home, then dumps that heat into the air outside, and goes back inside to repeat the process. So, when refrigerant is in your outside unit, it’s super hot. Your condenser fan blows air over the refrigerant lines, pushing that warm air into the outside air. The compressor motor powers your AC compressor (in the outdoor unit), which is what pumps refrigerant through the entire system to cool your home, as we showed in the graphic above. Unfortunately, if your AC compressor motor dies, you’ll need to replace the whole compressor. Your tech will be able to help you find the right motor type for your AC system. If your AC is still under warranty, that will save you a chunk of money. Parts warranty: The manufacturer warranty on the unit itself. It depends on the manufacturer, but most cover failed parts of the AC (including the blower and condenser fan motors) 5–10 years after installation. Many have separate warranties on the compressor, since that’s the most important part of your cooling system. Note: Most manufacturer warranties only cover the cost of the part (not labor) and will consider the warranty invalid if you didn’t register the unit and get it maintenanced regularly. Labor warranty: The warranty your contractor provides on labor installation costs. Most reliable AC contractors will guarantee their work at least 1 year after installation. A fixed rate: Your contractor will charge you a flat fee, regardless of how long it takes to replace the AC motor. Hourly: Your contractor will bill you for each hour it takes to replace the AC motor. Better quality contractors will charge more for their labor. Why is that? A quality contractor will know how to properly replace your AC motor. Improperly installing a new motor can lead to more repairs down the road, so you’re better off hiring a slightly more expensive contractor who knows what they’re doing. Need an AC motor replaced in Kansas City? Just give us a call. One of our skilled AC techs will come to your home to give you a motor replacement estimate. Want to know more about our services? Visit our AC repair page. Should I Repair My Air Conditioner or Get a New One?